Many students are unaware of Food Truck Fridays, one of Roger William Park Zoo’s events that runs nearly all year-round. Photo courtesy of RI Blogger. As Providence College students become entranced by the ambiance of the ever increasing beauty of the College’s campus, the PC bubble grows stronger and more resilient. While there is plenty to do on campus because of the College’s extensive extracurricular activities, Board of Programmers (BOP) events, and McPhail’s, as well as the booming nightlife on campus, students display little drive to explore life off campus in the city of Providence. Although the city itself is frequently acknowledged for being small and “insignificant,” this stereotype is conflated with the idea that Providence is a boring place—a sentiment that could not be further from the truth. While most PC students are acquainted with the Providence Place Mall for shopping, Thayer Street for various activities, and Federal Hill for a fancy dinner for a friend’s birthday or when family comes to visit, so much of the city’s beauty remains unexplored by the typical PC student. For example, PC students rarely venture over to Wickenden Street, an area of Providence that rivals Thayer Street in terms of eclectic eats, and offers many small vintage clothing, vinyl, and antique stores, along with a potpourri of coffee shops and brunch restaurants including The Duck and Bunny and The Coffee Exchange. Additionally, while PC students are likely familiar with the Roger Williams Park Zoo, very few students are aware of the many goings-ons within the park itself, which include swan boat rides, a natural history museum, and planetarium with free admission for students. 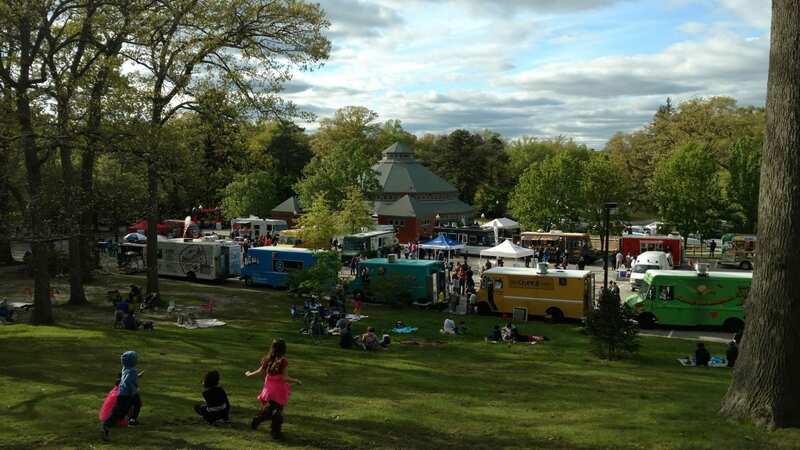 Additionally, the park’s weekly Food Truck Fridays run from spring to early fall, and there are many beautiful botanical spots within Roger Williams Park to relax and chat with friends or complete homework. Typically, PC students either stay on campus or attend the same two or three dingy night clubs like Victor Spoils or Hanley’s Ale House when “going out” on a week night, and fail to fully experience the eclectic nightlife of the city. Venues downtown such as AS220 are equipped with a quaint restaurant and extensive bar that offer live concerts from local bands or comedians every weekend night with only a small cover charge. The city of Providence offers a diverse lineup of quirky bars including The Boombox, a karaoke bar; Shelter Arcade Bar, which houses a plethora of retro arcade games; Providence G, a rooftop bar; and Ogie’s Trailer Park bar, a trailer park themed venue with locally sourced drinks and appetizers, with a outdoor patio complete with trailers and fire pits. PC students frequently allow themselves to becomes trapped in their campus bubble and they neglect to explore and appreciate everything Eastside of Providence has to offer, including Brown University and Rhode Island School of Design campuses, historic buildings and classic New England architecture, San Francisco-que hills, and weekly Hope Street Farmers Markets, where local businesses, farmers, artists, and musicians perform and sell high quality goods. Essentially, while the PC campus is beautiful and the tight-knit community of the student body is extraordinary, students of the College hinder themselves from maximizing their college experience in neglecting to pop to PC bubble and step out into the city of Providence, “the creative capital” of Rhode Island.